From 16-18 May at Baku Expo Center took place the 24th Azerbaijan International Food Industry Exhibition, WorldFood Azerbaijan 2018. Over the years, the exhibition recommended itself like a reliable platform for traditional meetings between experts, and demonstrations of equipment, goods and services for the food and agriculture industry. These events additionally provide an opportunity to find customers, strengthen existing relationships with business partners, and expand to new markets. 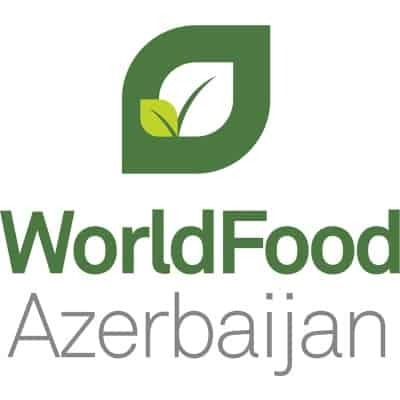 WorldFood Azerbaijan supported by the Ministry of Agriculture of the Republic of Azerbaijan and this year the WorldFood Azerbaijan exhibition received support from the Food Safety Agency of Azerbaijan. The event is also supported by the National Confederation of Entrepreneurs (Employers) Organizations of the Republic of Azerbaijan (AEC), and the Azerbaijan Export and Investments Promotion Foundation (AZPROMO). The organisers of WorldFood Azerbaijan are Iteca Caspian and ITE Group. The exhibition was preceded by a press conference and was attended by Mr. Anar Huseynov – Head of Information and Public Relations Department of the Ministry of Agriculture of the Republic of Azerbaijan, Mr. Mansur Piriyev – Head of the Communication and Information Technologies Department of the Food Safety Agency, Mr. Edward Strachan – Regional Director of ITE Group and Ms. Zarina Mammadova – Project manager. 30 media representatives attended the press-conference from AzTv, ARB, CBC, Iran TV, Lider, TREND, Azertag, APA, Report, Sputnik, Salamnews, 1news and others. During the press conference journalists were informed about the innovations, participants and statistics of the exhibitions. On the first day, the exhibition was visited by the President of the Republic of Azerbaijan Mr. Ilham Aliyev, where he got acquainted with the novelties of both local and foreign companies. The opening ceremony was attended by Minister of Agriculture of the Republic of Azerbaijan Mr. Inam Kerimov, Chairman of the Food Security Agency Mr. Goshgar Tahmazli and Regional Director of ITE Group Mr. Edward Strachan. Mr. Kerimov emphasized the special attention paid by our Government to the development of the non-oil sector. Such event as WorldFood Azerbaijan 2018 serves as a reliable platform for demonstrating our achievements and establishing contacts with foreign partners. The scale of the exhibitions and the growing number of participants underscore the positive aspects of the entrepreneurship in Azerbaijan, along the benefits of concluding international contracts and developing joint projects. G. Takhmazli expressed confidence that the current exhibitions contribute to the creation of new opportunities for all participants and entrepreneurs, both local and foreign market players. Being the main exhibition of the country’s food industry, WorldFood Azerbaijan showcased a wide range of products of 207 companies from 20 different countries. The national stands were presented by Belarus, Latvia, Greece, Turkey, Sri Lanka, Italy, while the regional stands will represent Altai Krai, Kabardino-Balkaria and Astrakhan (Russia). 35% of total participants are going to exhibit for the first time. It is pleasing that Azerbaijani companies were actively engaged at the exhibition, proudly representing the “Made in Azerbaijan” brand: «Amoris», «Astara Chay», «Azersun Holding», «Azmeat», «Azqranata», «Bal Hoorma», «CAN-PA», «Gilan Holding», «Goy-Gol», «Ozdad» and others. For the first time, Azerbaijan Food Safety Agency, which this year supported the exhibition and the stand of the Center for Simplified Support for Family Business (ABAD) participated at the exhibition. As usual, the WorldFood Azerbaijan exhibition brought together several exhibitors and features various themes: food industry (WorldFood), beverages (WorldDrink), technology (WorldFoodTech). In the WorldFood section the main exhibitors were producers of dairy and confectionary products, canned food, groceries, ingredients, and exporters of fruits and vegetable. WorldFoodTech exhibited cooling, bakery equipment, technology for product storage, among many other things. WorldDrink was distinguished with its wide range of drinks and juices, and types and brands of tea also was the focus of this exhibition. Various tea packages of Ceylon tea were presented by the Sri Lanka Tea Board, which for the third consecutive year has headed a group of Ceylon tea producers from Sri Lanka. Azerbaijan at the exhibition presented a wide selection of local tea brands by various local producers. WorldFood Azerbaijan took place alongside the Caspian International Packaging, Tare, Label and Printing Ipack Caspian 2018. Compared with last year, the number of exhibitors and the range of offered products have significantly increased. Exhibitors from Azerbaijan, Italy, Russia, Turkey and other countries took part at this year’s exhibition. The organisers of the WorldFood Azerbaijan exhibition hosted a business breakfast for the exhibition participants. The aim of the business breakfast was to help participants benefit from the opportunities created at the exhibitions more efficiently. The business breakfast was led by a professional coach from Alpha Coaching and Consulting, Fidan Azimli, who was invited by the organisers. During the business breakfast, the main issues with regard to the organisation of stands were touched upon, and a formula for successful participation at the exhibitions was presented. All innovations for this exhibition were displayed in the New Products Showcase section which was a new feature at this exhibition. The purpose of the event was to offer participants an additional opportunity to meet with leading local companies to present and discover new products and services; explore new business opportunities; and to meet potential customers and exchange with business experience. More than 20 companies benefited from an additional opportunity to highlight their new products and services and got the attention of the professional audience for further cooperation. For example, “Astara Chay” made a direct presentation at the exhibition about their completely new tea package. This year’s exhibition was distinguished by a comprehensive business program, which included B2B meetings and various seminars. B2B meetings gave another opportunity for holding business meetings and negotiations with several key customers in a matter of one day. The meetings were attended by foreign and local manufacturers and distributors, and representatives of retail chains. The 1st Baku International Conference on Food Safety was held on May 18 at the Boulevard Hotel was certainly become a landmark event. The conference which was organised jointly with the Food Security Agency of the Republic of Azerbaijan, the Delegation of the European Union in Azerbaijan and the World Bank Representative Office in Azerbaijan, was touch upon the most pressing issues on this topic. As part of this conference, the Chairman of the Food Security Agency of Azerbaijan Goshkar Tahmazli and other representatives of relevant local and foreign agencies made their speech. Moreover, a number of workshops were held at the exhibitions. Organisers have always welcomed and supported the participation of start-ups at these exhibitions. This year, for the first time, start-ups presented their projects at the WorldFood Azerbaijan and Caspian Agro exhibitions. Thus, Azerbaijan State Oil and Industry University presented its initiatives called start-ups of Garden X and Smart Greenhouse in the foyer of the Expo Centre. Also in the foyer, another start-up Tasty Baku shared its grand thoughts about creating corporate gifts. Best Company Presentation – KRCPACK AMBALAJ SANAYI TIC. A.S. The number of visits to the exhibitions according to the data of the international exhibition community UFI (the global association of the exhibition industry) was 8207. The sign “Approved by UFI” testifies to the conformity of the exhibitions to all international standards. Organisers have a plan to continue with their conventional project “Because We Care” that is introduced as part of the exhibitions. This time the craftsmen prepared hand-made products reflecting the themes of the exhibitions. These hand-made products include jewellery and accessories, natural soap and organic make-up, bags, accessories and interior decorations, developing books, tablets and many other things. Also in the foyer you could see unique handmade products by the Sandiqcha brand. Each brand product (accessories, scarves, baskets and many other things) reflected the cultural heritage of Azerbaijan. Children’s Playground was located in the foyer of Baku Expo Center. Here professional teachers from Bagcam.az took care of children and entertain them with educational games, as well as various useful and exciting activities. In 2019 the exhibition will take place on 15-17 May at Baku Expo Center. “For us, participation in WorldFood Azerbaijan 2018 is of immense importance, as it is a major international event. We enjoy the opportunity to showcase a lot of our products, while conducting negotiations and looking for partners”. “The company has been participating in this exhibition for the fourth year, and visitors are showing more and more interest in our products. I can say that we already have a plan to participate at the next exhibition in 2019”. “Assessing the potential of the Azerbaijani market, we are happy to participate in the World Food exhibition, as in previous years. We have already held several business meetings, developed plans for further business development in the local market. Within the framework of the exhibition, we have planned for a number of business contacts; we hope that these will be fruitful meetings on cooperation”.